“Sherry helped us sell our home. She did a wonderful job educating and supporting us through the process. We sold our home within a week for full asking price. The process was as smooth as selling a house can be. We've recommended her to several friends and if we still lived in the area we would have went back to Sherry for sure”. "In my experiences in buying and selling a house In a variety of communities, Sherry was the most knowledgeable, professional, and accessible. Very efficient and direct in her marketing efforts. I would definitely utilize her services again." "We first met with Sherry while pursuing a home we wanted to buy. She literally held our hands the entire process and made our worrisome journey as hassle free as anyone could. She was completely thorough and extremely professional, and in a short time we were signing the papers! After our exciting purchase, we easily decided to have Sherry sell the home we were living in. She quickly gathered the necessary info/paperwork that was needed and in no-time she had our home listed. We were truly amazed when we saw the way she presented our home on the market, from the lovely description to the professional photos that were posted for all potential prospects to see. Long story short, we had nine showings in seven days with two full price offers on the table. "Wow" is all we can say and all the credit goes to Sherry for the tremendous work and dedication she put forth into our buying and selling experience. 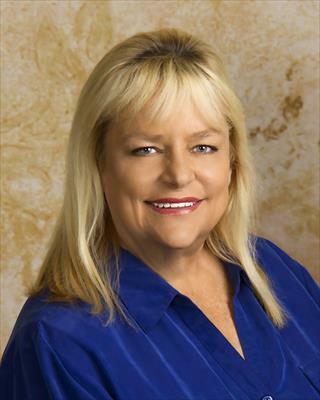 If you are serious about buying or selling real estate and want an agent with an incredible understanding of the business, Sherry Jones is definitely the right choice for you." "Sherry isn't just a great Real Estate agent she is a great person! She assisted my family and I in purchasing a home in late 2014, and we started with her while we where still in Japan. She was very good at responding to us over email and even set up a personal tour of the Wichita area once we arrived in town. As we progressed in the search for our new home she was patient, and always straightforward so we didn't waste time. Like I stated before she started out as a great agent and moved into being a good family friend as she not only assisted in the hurdles of home ownership but with so many other hurdles of starting out in a new community." "Sherry helped us sell our previous home in a little over two weeks. Throughout the entire process she was always availible to answer any questions we had. She also helped us to find and purchase our new country home. Our needs were always her first priority and her compassion for her work is second to none!!" "Was very helpful in finding the right home for us. Kept in touch constantly while providing a list of homes for sale in the area. Very prompt and attentive to your needs and requirements. Excellent and pleasing buying experience. Thank you so very much!" "Sherry did a great job showing us homes and found the one that met all our needs. Sherry knows real estate and made the process easy to get through. She is efficient and fun to work with. We would recommend her to anyone we know looking to buy or sell a home." "Sherry is an expert negotiator. She knows how to bring different people with different views to the negotiation table and help them look beyond the immediate obstables to find common ground where they can agree and make the best of a deal. Sherry is honest even when it could mean losing a sale." "Sherry Jones was absolutely amazing. Her knowledge of the real estate market was mind-blowing! Our house sold after the first and only showing, in less than 18 hours and went for full asking. We couldn't have asked for more. She was extremely personable and we consider her a great friend now."